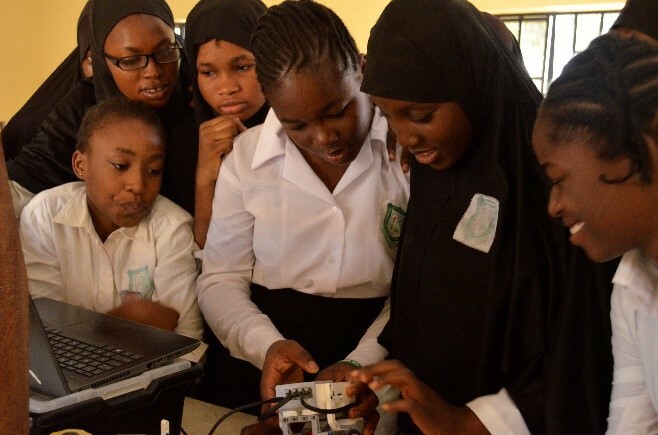 Hauwa Aminu, a participant in our 2015 STEM Summer Camp for Teenage Girls speaks about how her experience at the camp ignited her passion for engineering and led her to pursue a degree in civil engineering at Nile University in Abuja. This is her story in her own words . As a child, I loved to create things but as I was growing up that changed. There was a point where I wanted to become many things, fashion designer included, but my sister took me to the Visiola Foundation’s summer camp where the main focus was STEM (science, technology, engineering and mathematics). I learned many things including Robotics and Mechanics. I met many female engineers from different walks of life. The practical projects made me think about the architecture of Dubai; which I love. The desire to create came back all over again and when I went back to school I put more effort in my science subjects. Attending the STEM Summer Camp is what influenced me majorly to become an engineer. 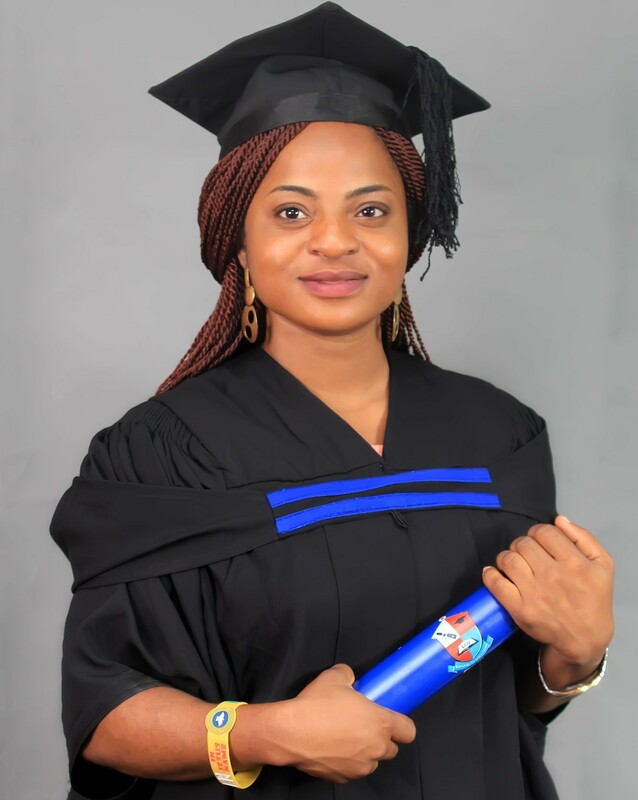 After getting my degree at Nile University, I’d like to proceed and get a masters degree in structural engineering then I’d like to work in Nigeria. Nigerians are talented people and ace almost everything they do. There is one thing I’ve noticed though, we always do the same thing or build on what has been left behind. We hardly do something different or improve what others have done. In Nigeria, collapsing of buildings is a casualty if you read the papers or check the net. I want to improve our building skills and build more stable structures. I also want to build more contemporary structures, skyscrapers to be precise because I love tall buildings and they are a major source of tourist attraction which can generate large income for my country and make it the fastest growing economy one day. After working for a quality amount of time, I would like to take up research on many things including natural occurrences so I’ll find out if my imaginations are true or not. I have so many questions in my head that I don’t yet have answers for. Although engineering is what I want and it feels right to me, I had a very tough time deciding whether I should study it or not mainly because of my background. 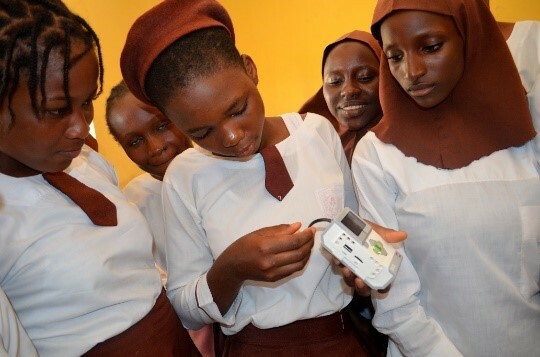 I come from the northern part of Nigeria where girls don’t usually get a higher education now and in the olden days, weren’t sent to school at all. So my family, especially my mom, believes engineering is a manly and odd occupation for girls. But I believe if men can do it why can’t I also do it? After all, we are all humans with the same brains. If there should even be an argument on who is better and more sophisticated I’d say, women, because they turn everything you give them into something amazing. I still get a lot of criticism from my family and other people but I am determined to work hard and learn a lot and of things and apply them in many things in life effectively when I’m out of here and become a rich and successful northern lady. I also want to amaze my family and make them proud, especially my mother. This story was originally published by Stories in Science on November 6, 2017 . Growing up, I was always top of the class academically from nursery school through to secondary school. I grew up in a typical Nigerian home where children are usually made to believe that intelligent kids are supposed to become doctors, lawyers or engineers. Topping the wish-list for many is the desire to be a medical doctor as it is seen as a profession meant for the best brains. This was drilled into my being as my dad wanted his ‘brilliant’ daughter to become a medical doctor. I was made to believe being a medical doctor was the only option available to me. I was very smart. I understood every subject taught in class and got excellent grades. As a result, it was very easy for me to get into taking mostly science classes for my senior secondary education. 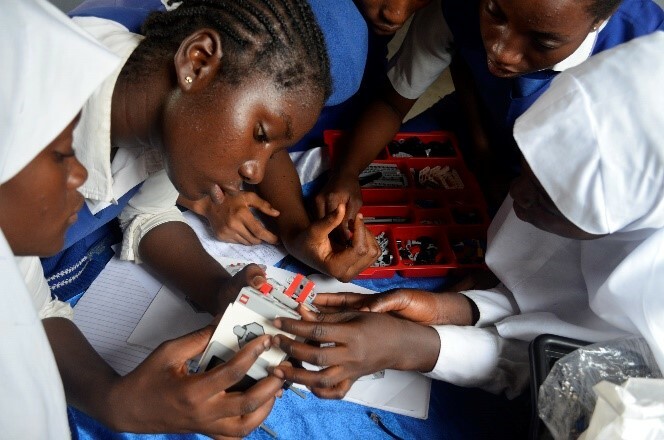 In Nigeria, those who were taking science classes were seen as the brightest kids in school. There was this huge prestige attached to wearing a lab coat and carrying a 5-liter keg of water and three hardcover notes to the laboratory for sessions. However, due to the poor state of the laboratories in my school at that time, we were only able to carry out chemistry experiments. Nonetheless, it was great to experiment mixing chemicals and see them change color or evaporate. Through these experiences, I became convinced that becoming a medical doctor was my destiny. After completing secondary school, I applied to study medicine at the university. However, things didn’t quite turn out the way I had hoped and my path quickly changed. After two failed attempts, I was instead offered admission to study microbiology at the University of Abuja. I was hesitant but I accepted the opportunity. From my first day in the laboratory, I felt very uneasy. During our first practical session, we were instructed to view microorganisms through the microscope. This was my first time using a microscope. I did not know how to use it and I kept seeing my eyelashes instead which was frustrating. There were about 200 students in the class with access to only 5 microscopes. We were only allowed to use the microscopes for a few seconds since other students were waiting in line. Such lack of access prompted my gradual loss of interest in the class. As the weeks progressed, going to class felt like a burden. I just couldn’t get excited anymore. I struggled with understanding and appreciating the biological sciences all throughout my studies at university. I became increasingly convinced that it was not my calling. I just could not wait to get out and move on to other things. I concentrated on passing all my exams without the desire to actually understand what was taught. Somehow, I managed to graduate with a Second-Class Upper degree. After graduation, securing a fulfilling job was a challenge mainly because I could not figure what I wanted to do. The one thing I was sure about was not working in a biology lab! Sadly, the once very intelligent young girl was now a confused adult. I was able to secure different jobs here and there but I was not satisfied. I just did not fit in. Luckily, I came across a life-changing opportunity in June 2017. 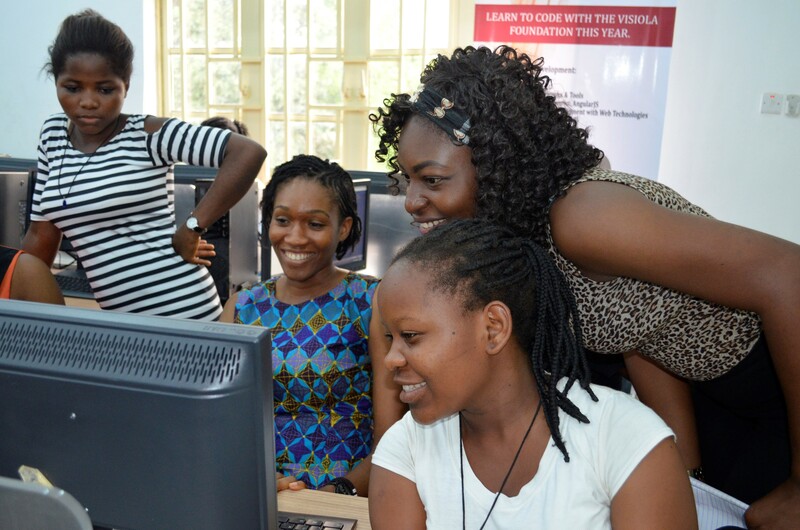 The opportunity was a 5-Week Coding Boot Camp for girls hosted by the Visiola Foundation. I decided to apply out of boredom! Fortunately, I was among the 50 girls selected. From the very first day of the camp, I felt a sense of belonging. It was really amazing how fast I understood everything being taught. It was magical how I was able to write code to execute specific commands of my choosing. The feeling was so inspiring and each day I got more and more hooked. I tried to learn everything I could from anyone that had something to teach. I really fell in love with programming. Things were all coming together in such a short amount of time. Graphic design, MySQL database, and mobile application development stood out to me. I really felt that I had found my true passion. I was made for the tech world. During the camp, I cherished the great mentorship sessions that were offered. The sessions allowed me to see the untapped potential I possessed. I also learned about opportunities that were available to me if I was willing to try. The sessions helped boost my self-esteem. I found my true identity during the camp. For me, what I learned in 5 weeks in camp was way more invigorating than all that I was taught in 4 years at university. At the end of the camp, I actually ended up winning an award for the most improved student. 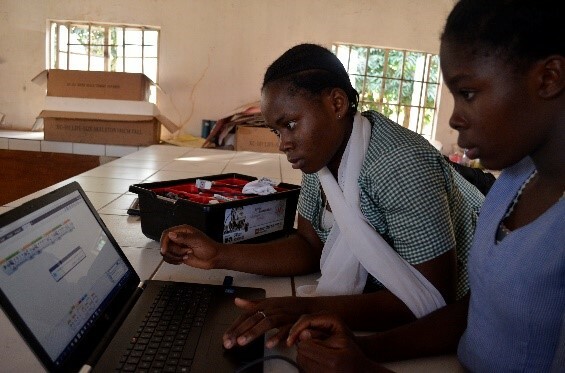 I also got an internship opportunity with the Visiola Foundation where I would work to empower girls by educating, training and mentoring them in Science, Technology Engineering, and Mathematics (STEM) fields. Through all these experiences, I felt like my life was just beginning. Currently, I am taking an online course on artificial intelligence, MySQL database and robotics. I hope to become a database management expert in the near future and an authority in artificial intelligence. 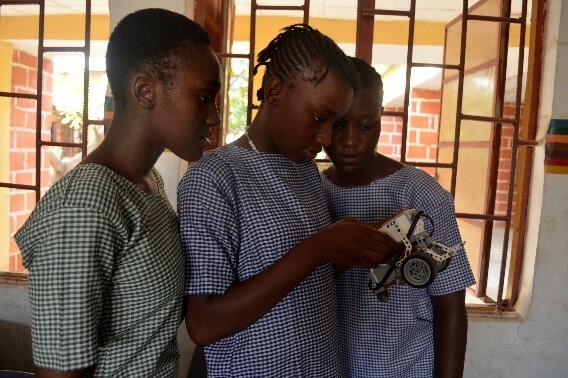 I would like to also continue to work with young girls to expose and empower them in STEM fields. Why? Well, I believe that a lot of young girls lack the necessary exposure and mentorship to help them find their career path. 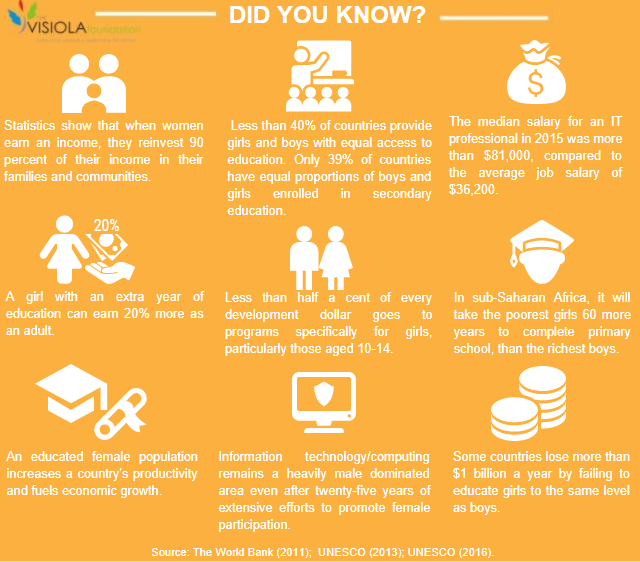 With more exposure and mentorship, I believe we can uncover many opportunities that are available to young girls and women. My journey so far has taught me that we all have untapped potential and passion inside. This is especially true for young girls. Although it may take a long time to find one’s true passion, I encourage you to stay committed to developing yourself and seek new opportunities. One day, you will finally unlock all your potential and blossom like a flower in springtime. 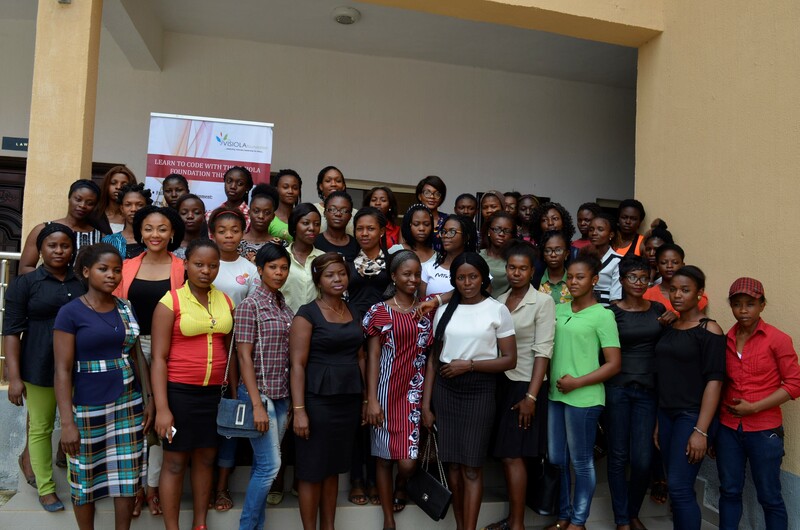 The Visiola Foundation participated in the 2017 Africa Code Week by holding a week-long Coding Workshop for young women in Enugu in October. 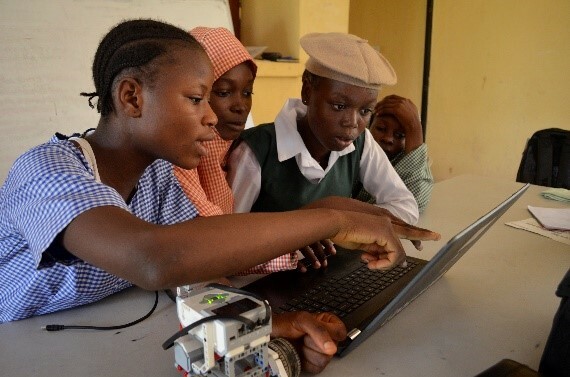 The workshop was designed to introduce participants in the underserved southeastern region of Nigeria to the field of computer science and empower them to become technology enabled entrepreneurs. 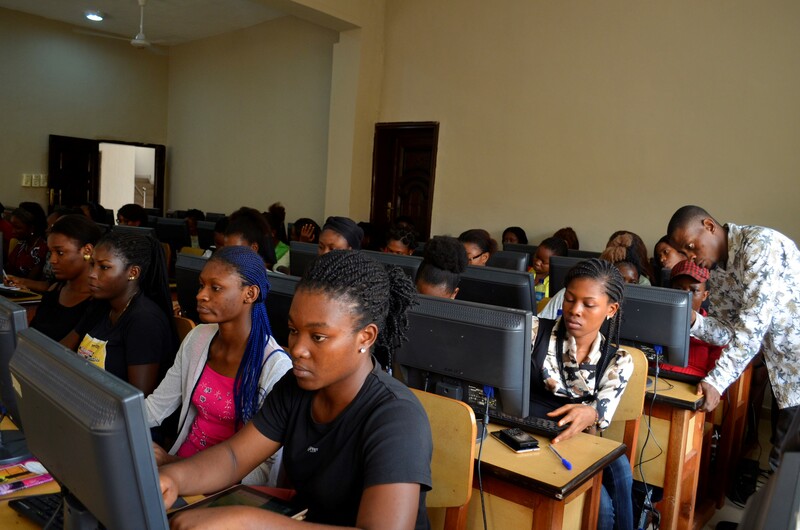 The workshop taught students Web Development using HTML and CSS, Python, and Mobile App Development. 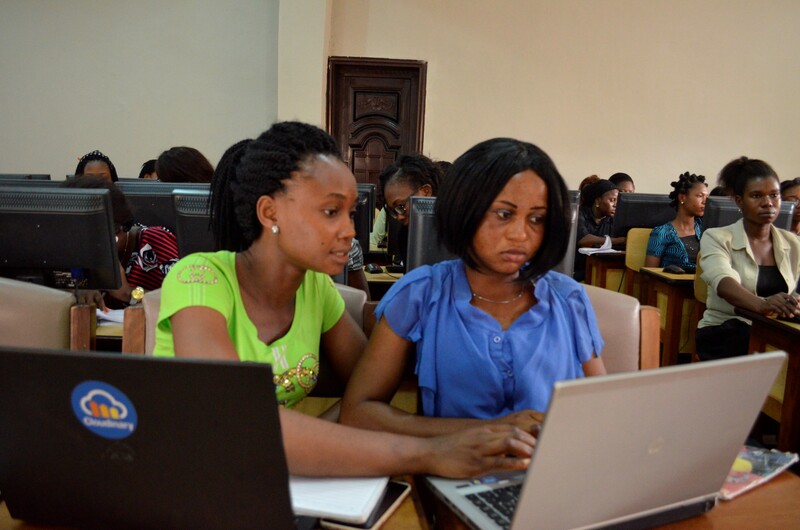 Participants learned how to create fully operational websites and build mobile applications to solve problems. 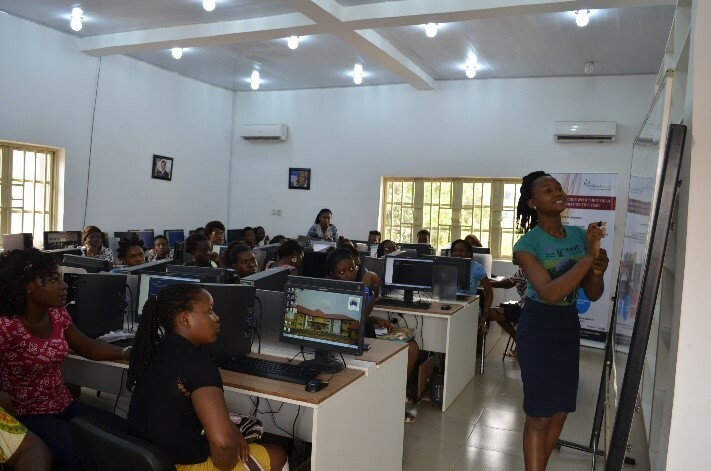 Students were also mentored by Mrs. Lade Araba (Co-Founder and President, The Visiola Foundation), Dr. Ikechukwu Ani (Director, Academic Planning, Godfrey Okoye University) and Ms. Olaide Agboola (Software Developer, Andela). 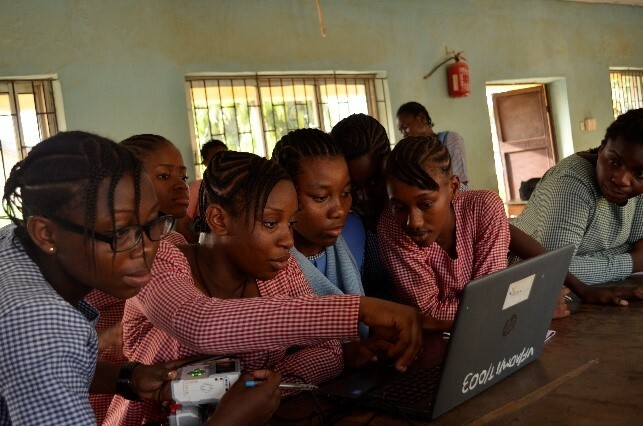 The supportive environment, tutors and mentors will enable these young women to take advantage of the immense opportunities in the digital age and become active players in the global economy. 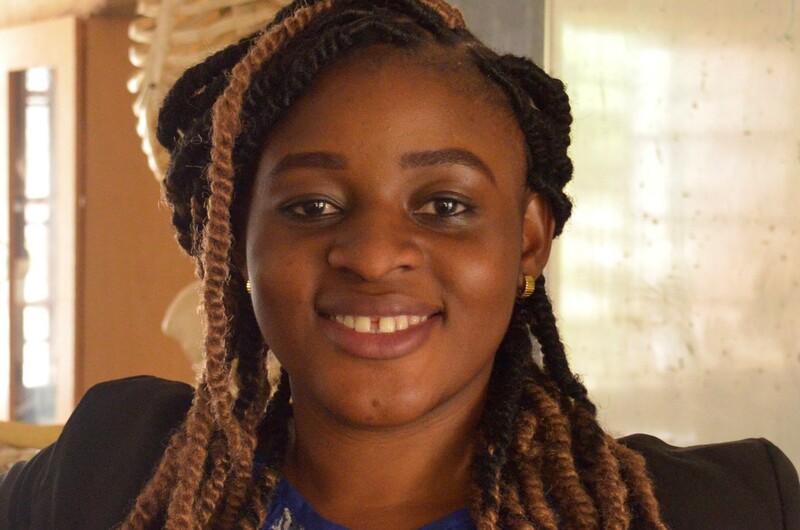 Omolara, a 2014 Visiola Foundation Scholar, narrates how receiving a full academic scholarship transformed her life . Thank you for investing in me! I would have been wasting away as a tailor in Ibadan, if not for the Visiola Foundation. In 2013 I was admitted to the Federal University of Agriculture to study Chemistry. I have always been curious about science and the reactions produced by chemicals. I imagined I would research new drugs and cures to diseases such as cancer and malaria. Unfortunately, I had to drop out because my parents could not afford to pay my fees. My father was a welder who had an accident and fell from a building. He could therefore no longer work to support the family. My mother is a domestic worker whose salary is not enough for all of us. I have three other siblings. So they told me to learn sewing in order to earn money to help support the family. I have always valued education and know that it is a stepping stone to a better life. Becoming a tailor would have meant poverty and no future. I really wanted to go to school and further my education. Around that time, I heard that the Visiola Foundation was offering scholarships for indigent girls like me to study science subjects at Lead City University (LCU). I wasn’t sure whether they would pick me but I applied. Amazingly, I was invited for an aptitude test and an interview. The test was ok but I was so nervous in front of the four panelists. But I did my best. I was so overjoyed when a few weeks later I was informed that I had been awarded a full scholarship to study biochemistry at LCU. I couldn’t believe it! My journey at LCU began in 2014 and I can honestly say that the Visiola Foundation changed my life. They paid my tuition and fees, dorm room and feeding, and medical insurance. I met my best friend Racheal at LCU. She was also a Visiola Foundation scholar and we shared a room. They provided me with a laptop. They mentored me and exposed me to scientists. The Foundation took me to Dakar, Senegal to attend the Next Einstein Forum in March 2016. It was my first time on an aeroplane! At the Forum, I met brilliant scientists and determined that I wanted to become like them. 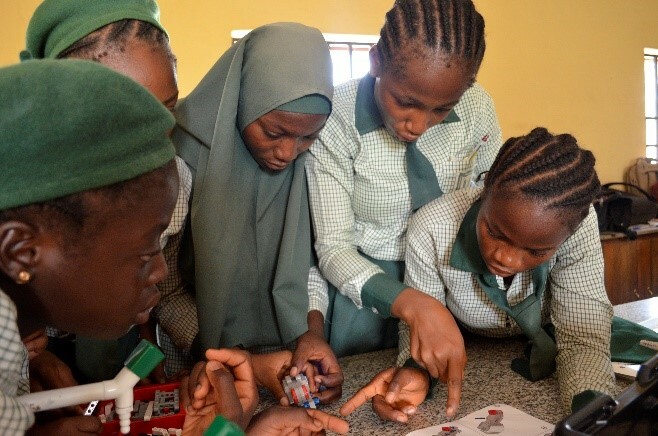 The Foundation also enabled me to develop my leadership skills by implementing a community project to teach science to students in a dilapidated secondary school. I also served as a facilitator and mentor in the Foundation’s annual STEM Summer Camp for teenage girls. It has been a rich journey with many challenges, but I have worked hard and have done my best and I am very grateful to now be able to call myself a graduate. I never thought this would be possible. In fact, I was interviewed by Millipore Sigma, an American biotechnology company for an internship in gene editing last year. I couldn’t believe that they offered me the position. I was so excited and looked forward to working in the lab with American scientists. Unfortunately, I could not get a visa. Although disappointing, I have learned a lot from that experience. As I complete my NYSC, I am hopeful that my future is bright. I know how important education is and I will forever be grateful to the Visiola Foundation for investing in me. I want to also empower other indigent girls. 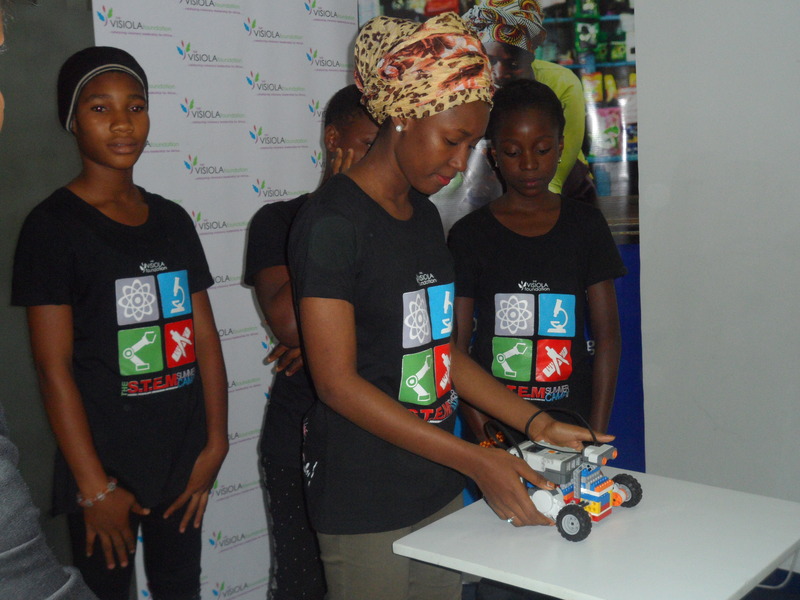 In 2016, the Visiola Foundation entered into a partnership with the Federal Capital Territory (FCT) Secondary Education Board (SEB) to run STEM clubs for girls in 15 Government Secondary Schools. 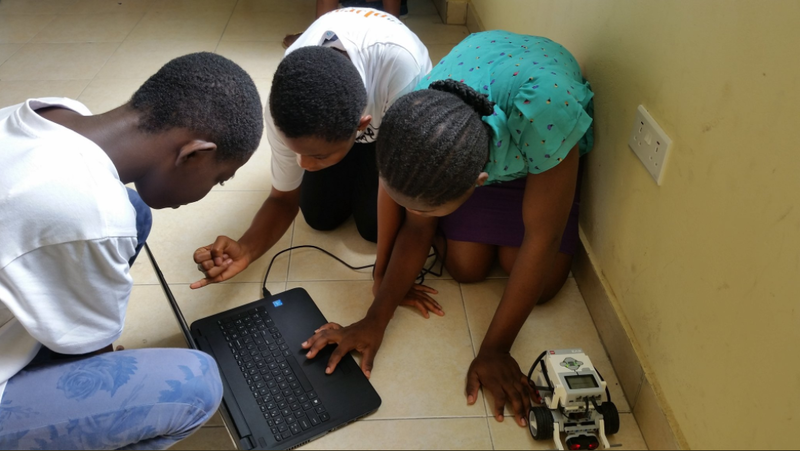 During the September – December 2017 term, the Foundation introduced students to robotics. 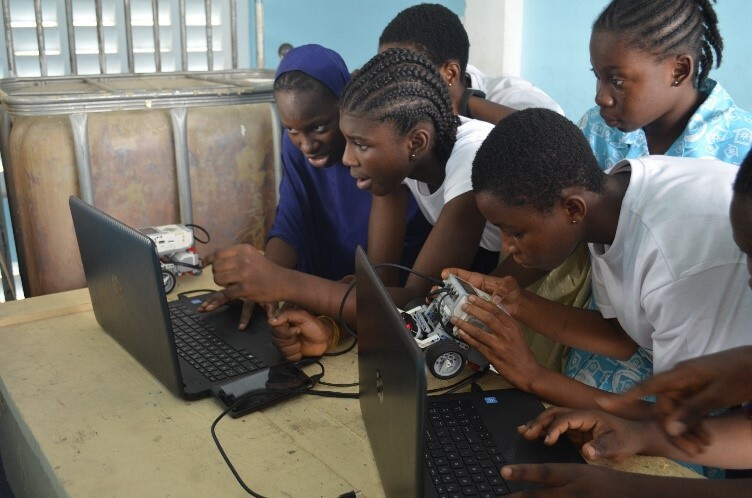 During the first term of the 2017 – 2018 academic year, our After-School STEM Clubs for Girls (ASCG) focused on our robotics curriculum; which is guided by LEGO Education’s EV3 Mindstorms syllabus. 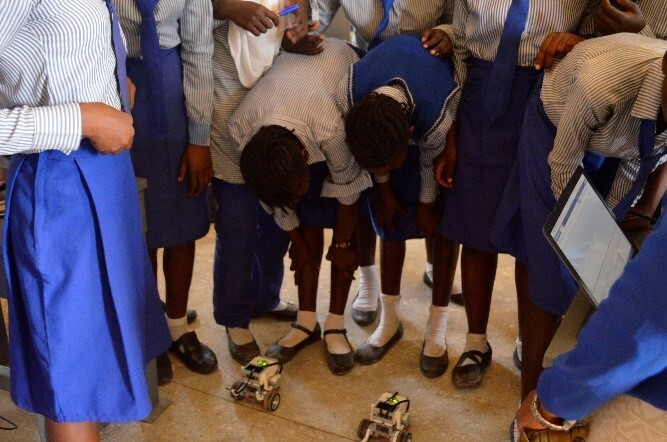 During the term, students learned the engineering and science behind robotics and built base robotic models; which they programmed to perform assigned tasks. 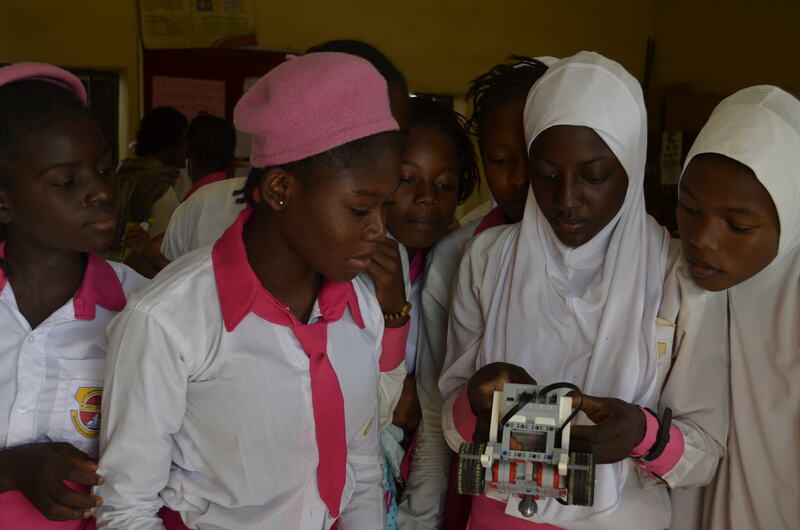 Beyond teaching robotics, the clubs also developed the students’ ability to identify problems and to devise solutions. This targeted approach aims to inspire a degree of responsibility in the students to view local challenges as opportunities. The students were mentored to become critical thinkers, who analyze situations carefully, ask insightful questions, and lead the design of practical innovations. 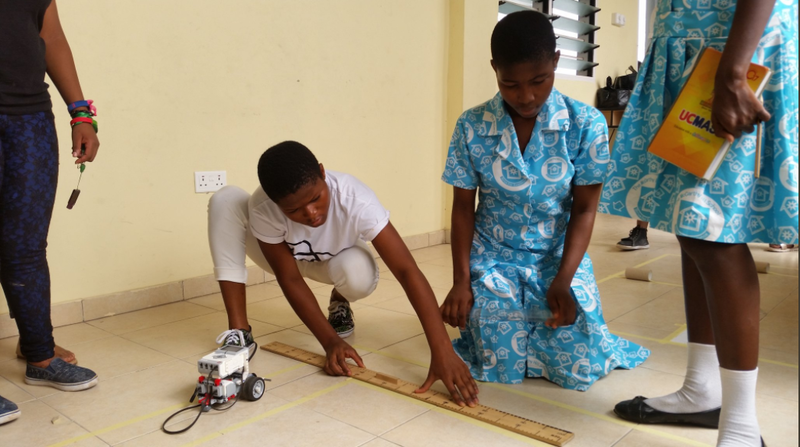 The Accra Holiday Camp organized by the Visiola Foundation Ghana exposed 38 teenage girls from various secondary schools in Ghana to robotics and mobile application development. 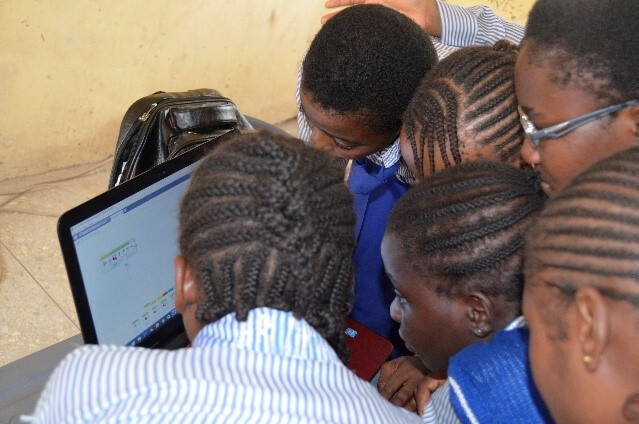 The camp, which took place at the McCarthy Hill School in December, taught students how to approach problems using logical and computational thinking by breaking them down into a series of smaller manageable problems and develop mobile based solutions to these problems. At the end of the camp, students designed and built robot vehicles to successfully transport delicate materials through a dangerous path to their target recipients. This project could help in disaster relief situations. 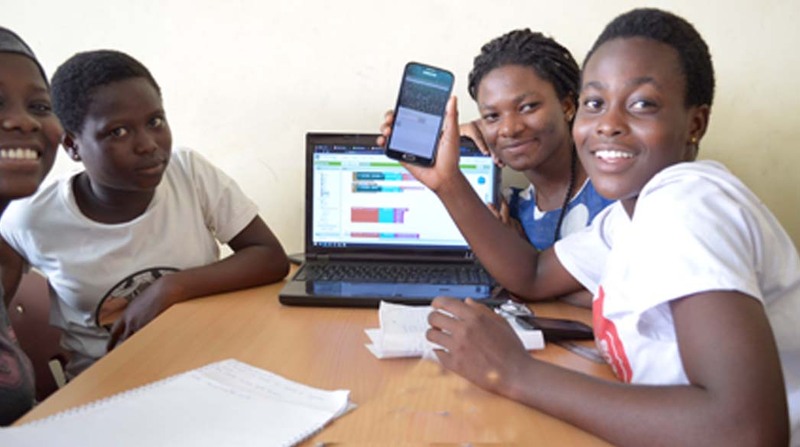 They also developed a mobile application for students in junior secondary schools to help improve educational outcomes in schools. The mobile application teaches students selected subjects and tests their knowledge at the end of each session. Students focused on topics in mathematics, science, social studies, and current affairs. 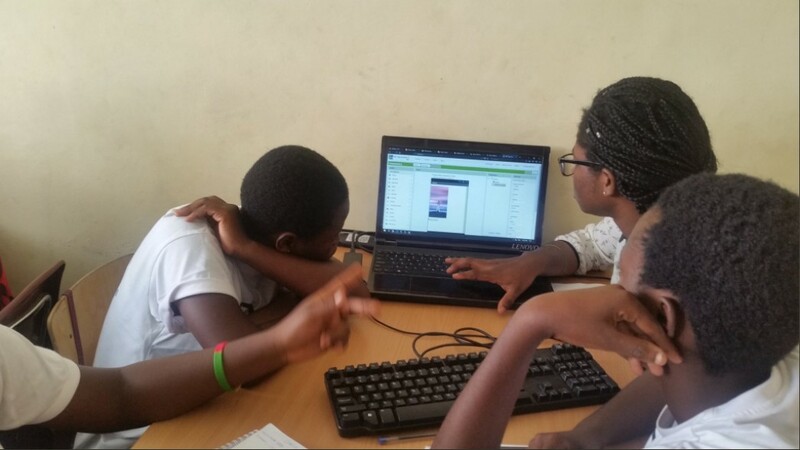 The Accra camp fostered creativity, problem-solving, effective communication and collaboration in a fun and engaging way. Students learned valuable skills in critical thinking, teamwork and perseverance as they were taught to view the world through the lens of STEM subjects. 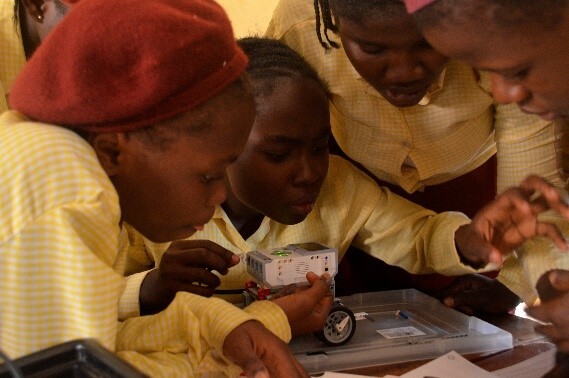 They were exposed to applied science, mathematics and engineering and were actively engaged in using concepts learned in school to develop project prototypes. Participants also benefitted from the daily mentoring sessions with successful women in the STEM fields which helped to build their confidence and provided practical tips on how to be successful in life. Mentors at the Accra Holiday Camp included Regina Honu (Founder, Soronko Academy) and Rasheeda Yehuza (Founder, Nasara Tech).